If you are new in the registration website, start by clicking the link Start Here on the box at the right side of the screen. You will be able to create an user`s account by filling out the registration fields. If you are already a member, login with your email and password on the green box at the right. If you dont remember your password, click the link '"Forgot your password?'" 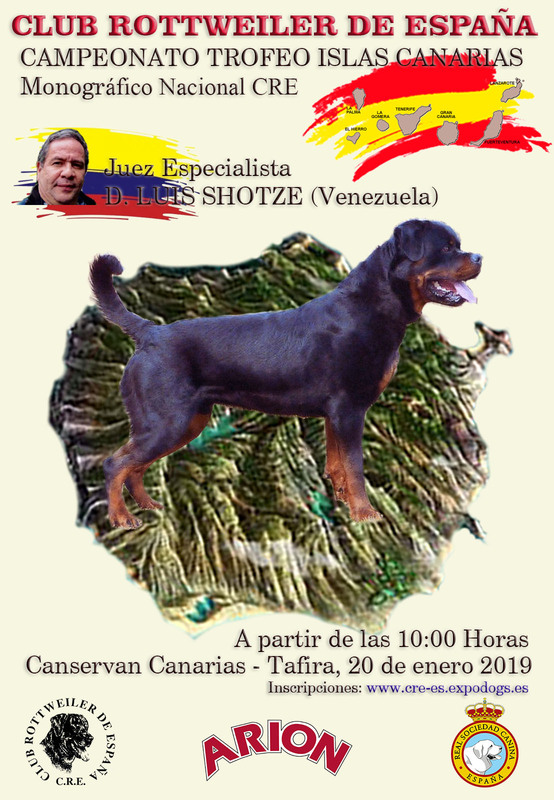 Gestión Integral Exposiciones SL (EXPODOGs) is the management company Registration of Spain Rottweiler Club, allowing ONLINE make payment or PayPal (Please tell incurred expenses). We recommendthe gateway direct payment by credit card.